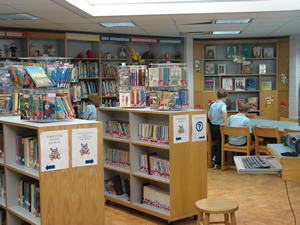 The St. Francis of Assisi Catholic School Library provides quality resources that support and enrich St. Francis’s curriculum, while also meeting the religious, educational and recreational needs of its student population. 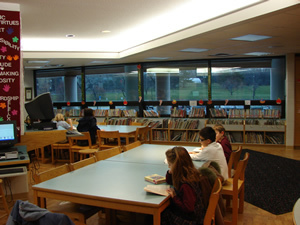 Partnering with faculty and administrators, the teacher librarian provides opportunities for students to foster a lifelong interest in reading in a safe and caring environment. 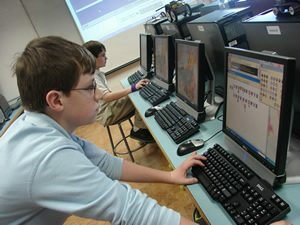 Through the use of resources and technology, St. Francis students develop critical thinking skills as they learn to successfully locate, analyze, interpret and communicate ideas and information. Stop by the Library Media Center to learn more about our program! Contact Ms. Pfeiffer at kpfeiffer [at] stfrancisaa [dot] org or 734-821-2293.